Former Richmond and Collingwood footballer David Cloke’s career was dominated by the number 3. So grab a calculator, abacus, your fingers or toes…whatever, and prepare to be awestruck! 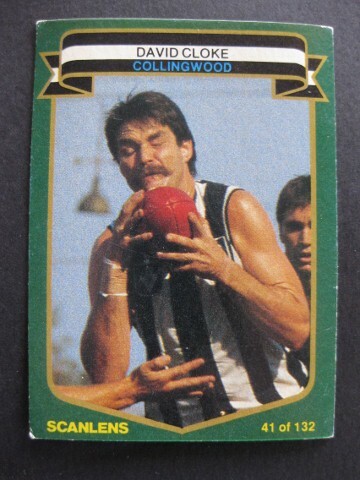 David began his career with Richmond in 1974 wearing the number 33 on his back, the same number he took with him to Collingwood some ten years later. When he returned to Richmond he wore number 16. Clokes career spanned through 3 decades…70’s 80’s and 90’s, and also he played in 3 Grand Finals. Cloke kicked 333 career goals, and in his final 3 games, he polled 3 Brownlow Medal votes in each match! Cloke was also a member of the 300 game club….his 300th a memorable affair with a surprise Richmond victory over Carlton! 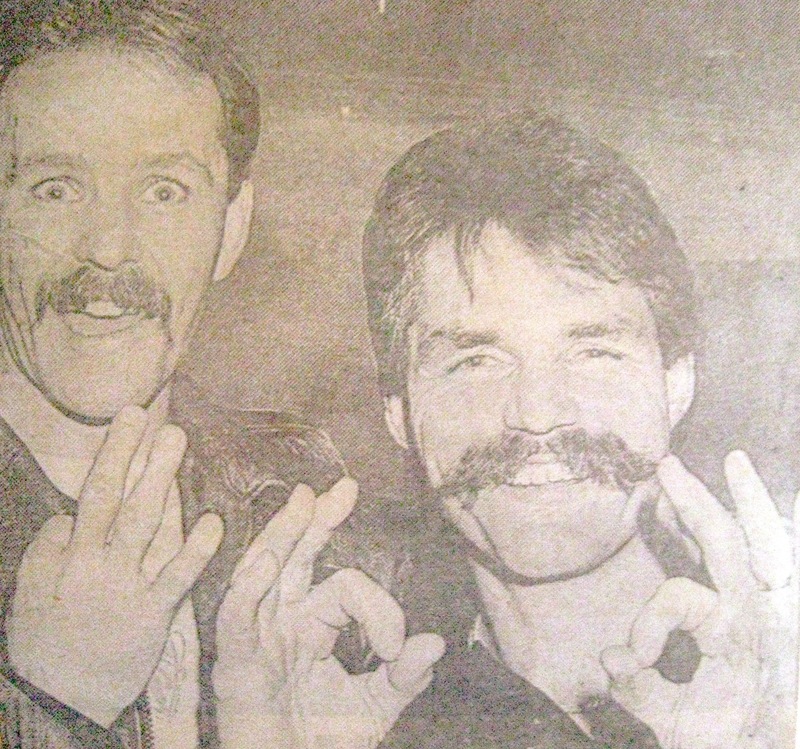 Dale Weightman and Big Clokey celebrate the power of 3! He played for 18 seasons and was 36 when he retired, both numbers divisible by 3! Famously, Cloke had 3 sons that played/play league football, each drafted under the father-son rule to Collingwood. They neatly wore or still wear the 3 numbers, 32 (Travis) 33 (Cameron) and 34 (Jason) that surrounded their own fathers number 33. Now we get a bit nutty! David Cloke gave away 33 free kicks in his first year (1974) and also in 1985. Son Jason gave away a career total of 33 free kicks in away matches only, while middle brother Cameron received a career total of 33 free kicks in home matches. Youngest son Travis is yet to join the 33 party, although as a left-footer amongst righties, he clearly doesn’t follow the status quo! Some other 3’s that cropped up…David Cloke played 33 games against Fitzroy, something his sons will clearly never achieve. Cloke also played just 3 games at Cararra, now Metricon Stadium. Cloke senior kicked 3 goals in his last game for Richmond (1982 Grand Final) before moving to Collingwood, where in his first match he again booted 3 goals. And finally, David Cloke’s final game for the Pies in 1989 saw him have 12 kicks, 6 marks, 6 handballs, for 18 disposals…and 9 hit outs. All stats are divisible by 3! 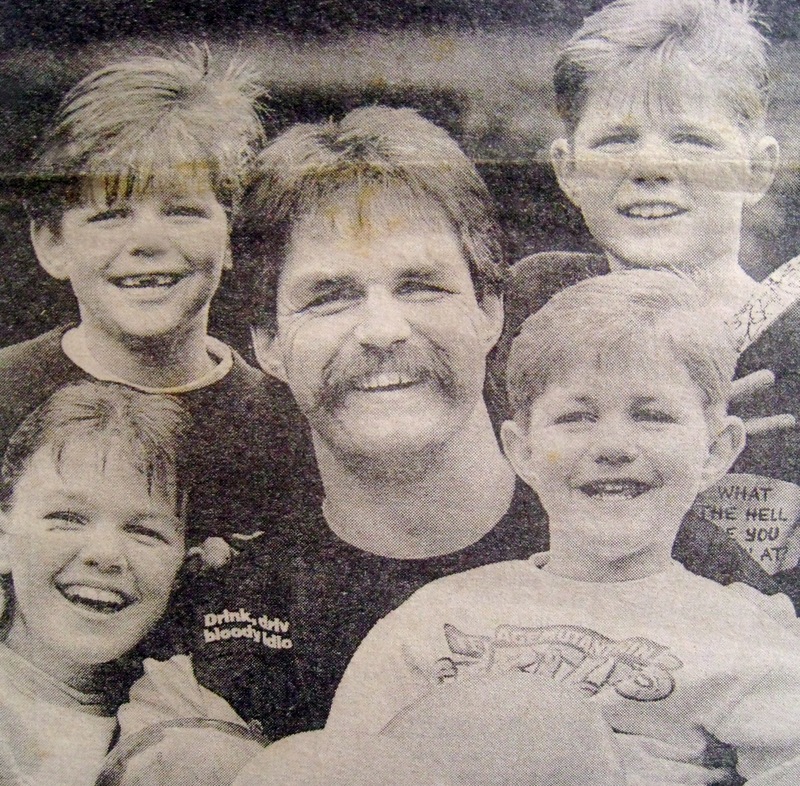 Interestingly, but not related to the number 3, David Cloke played in the 1990 Richmond v’s Carlton ‘Save our Skins’ legends match out at Windy Hill, only to come out of retirement and play on again in 1991! Today’s post was brought to you by the number 3.